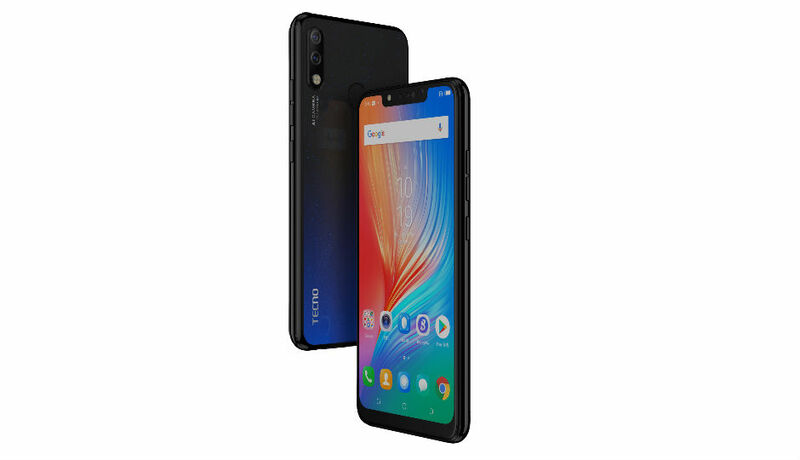 The price of Techno Caman iSKY3 is Rs 8599, it is the first smartphone in the same device with less than 9,000 segments, with Android 9 Pie, 8MP Ai Selfie, 13 + 2 MP Ai Dual Rear Camera and 6.2-inch Superb Display. Holi festival is just about to arrive. To make this celebration even more special, TransNone India's one offline camera-centric smartphone brand Techno has launched a new smartphone. The name of this smartphone is Techno Caman iSKY3 and it is equipped with 'Advanced Power of Artificial Intelligence'. The brand has introduced its first smartphone with the latest 'Android 9 Pie' operating system, which makes the user interface more rounded and vibrant. Techno 'Best Any Light' is committed to make the smartphone photography experience accessible to customers. For this, an effort is made to provide continuous state-of-the-art mobile camera technology for everyone in the segment of 6-15 thousand rupees. With the launch of this new smartphone in the portfolio, another initiative is being taken by the brand to make the overall smartphone experience more smoother, smart, interesting and tailored to their patterns. Mr. Arijit Talpatra, CEO, Transion India said, "In Techno, customer-centricity is in our core and we continue to work on presenting meaningful products / merits based on customer feedback and suggestions, Improves the overall smartphone experience. To accomplish this goal, our new product Caman iSKY3 is the latest interactive software powered by the Android 9 Pie operating system, which will change the consumer smartphone experience. This device takes advantage of the power of Artificial Intelligence, to give a better experience by emphasizing Machine Learning, Digital Velabising and Simplicity. Caman iSKY3 is a futur-ready "AI-powered packed" device priced at Rs 8599. It is designed to meet the aspirations of today's tech savvy youth, who want a smartphone that is more fast, smart and more cameraman. A smartphone that can be shot in any kind of light, whose battery lasts for a long time and has been offered with the latest innovations in extremely affordable prices. I. Photography is becoming more intuitive through the best ani light camera kit. Caman iSKY3 is packed with a premium twin camera setup, which is the integration of a 13MP primary camera, with the quad flash, the best f / 1.8 aperture in the category, which allows users to take extremely clean photos even in extremely low light. Enables and 2 MP depth-sensing lenses are perfectly suitable for real portraits. The device has also been supported with 4x digital zoom, which enables users to take high quality close-up shots from far away and thus enables clear photography. For amateurs of Selfie, 8 MP Ai Selfie Camera f / 2.0 Aperture is equipped with 78-degree wide angle and front flash, which helps to capture high light for better quality selfies and grooms, even if you have any ideas And be in the light. Along with that, the device has been offered with the 6-level AI Beauty mode, which enables the adjustment according to the customer's choice. It scans 228 facial points on Indian skin tone to give more real selfies. Screen for all needs - When you want to book a city cab for your destination in the city, you can use the 'Call A Cab' card in the Giroscreen. Intuitive Navigation Basis in-depth mining and matching, which is according to the likes and habits of people using different applications such as travel, browsing, news or payment. The software automatically guesses your next action based on the current action and shows a shortcut to take you directly to a particular app section, which deals with it. More continuous and adaptive battery experiments that remember the most commonly used app and provide battery for them first. Digital Velabing Features for Android, with a new dashboard that helps you understand how you are spending time on your device. No Do Not Disturb feature silences all visual constraints that pop up on your screen. Caman iSKY3 has a great 6.2 '' HD + noch display with 19: 9 ratio, which gives it 88% screen to body ratio, which gives a much better experience while playing games and watching movies on smartphone. Simultaneously, with the weight of cereal curves, rounded edges and just 150 grams, this device feels very light in the hand. This is a perfect smartphone, which can be easily run with one hand. It is available in 4 colors: Midnight Black, Aqua Blue, Champagne Gold and Nebula Black. Caman iSKY3 is not only famous for excellent camera competencies and good looks, but it has also been offered with power and performance. The smartphone uses 2.0 GHz 64-bit quad-core processor with 2 GB RAM and 32 GB Rom Storage, which can support up to 256 GB of expandable memory. It is a dual SIM smartphone with a datedticated MicroSD card slot and enables the consumer to use 4G volts in both SIM cards at the same time. 3500 mAh power beats can work for 350 hours of standby time, 12 hours of calling, 6.5 hours of browsing, 98 hours of music play and 7 hours of gaming. Along with this, the battery lab feature has been offered with Ai Power Management, which monitors the customer's smartphone usage patterns and adjusts power saving mode of hardware like App, Sensor and CPU to Intelligently Adjusting Battery Life Optimizes. By continuing with a new example in its price segment, the Caman iSKY3 AI Face Analog feature has been offered, which will definitely like today's insta-generation. The smartphone recognizes 128 facial points to unlock the device. In addition, the unique locallyised feature of an anti-oil fingerprint sensor is also present, which provides hassle-free access to the phone under all Indian lifestyle and weather conditions, which makes it even more user-friendly. This makes calling calls, unlocking the phone, reaching the app lock and taking pictures becomes even more enjoyable. All Techno products are offered with a '' 111 '' Brand Promise - 1-time screen replacement, 100-day free replacement and 1-month extended warranty.